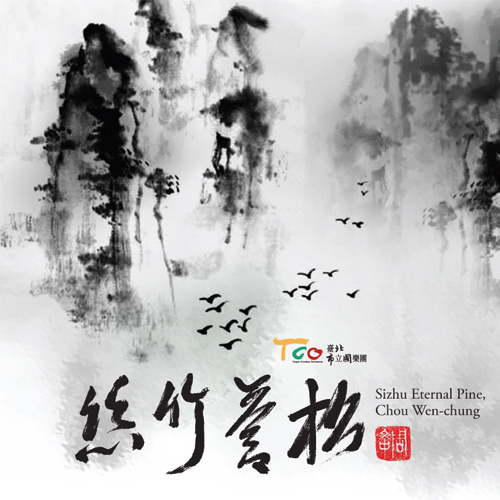 A selection of the contemporary leading figure Chou Wen-chung’s works Eternal Pine, Ode to Eternal Pine and Sizhu Eternal Pine. Performed respectively by Korean Gayageum, Western ensemble, and Chinese instrumental ensemble, sounds beyond countries express Chou’s feeling and thought towards the universe. Available at your local CD store, online CD shops, and Amazon. 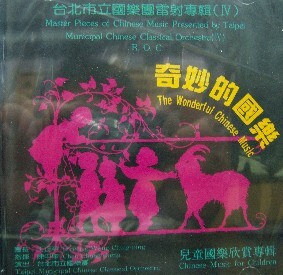 Forgive me for saying that the stars of this CD, however, are the members of the Taipei Chinese Orchestra, who create sounds that are mysterious, biting, intoxicating, and darned close to delirious. Released world-wide under the label of Swedish BIS Records, this album won the Best Traditional Music Album Award and Jury Award of the 21 Golden melody Awards. The December 2007 album is the brainchild of collaboration between General Director Yiu-kwong Chung and Music Director Shao En in seeking brand new music for the Taipei Chinese Orchestra (TCO). The album contains seven exciting, melodious traditional Chinese pieces conducted by Dr. Wang Zhengping. The album was nominated for Best National Music Album Award and Best Performance Award at 16th Golden Melody Awards. Award-winning works of “National Music Composition Awards” in 2003. The Taipei Chinese Orchestra (TCO) and the Strauss Festival Orchestra Vienna collaborated in Taipei in September, 2001 in a bid to galvanize a new form mixing East and West aesthetics. The 1999 album is co-produced by the world-famous Fo Guang Shan Buddhist Monastic Choir and the Taipei Chinese Orchestra. The 1998 album comprises a good number of popular, classic traditional Chinese music pieces that are well-liked and frequently played by many school Chinese orchestras. A collection of many renowned festive tunes performed in Chinese New Year. This 1994 album enables children to fall deep in love with traditional Chinese music through fascinating approaches such as telling stories and imitating animals.